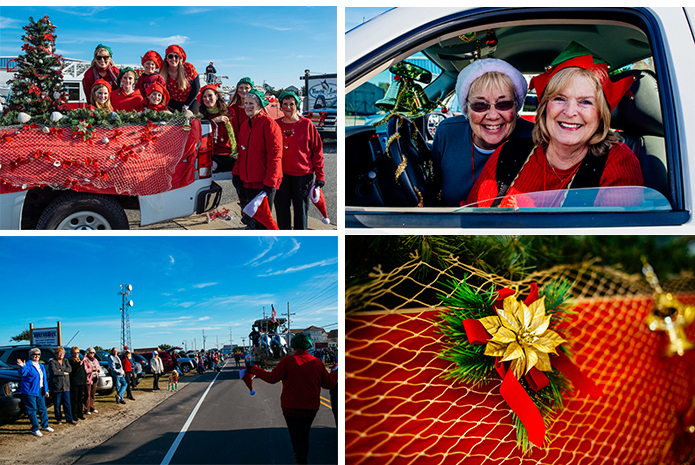 This Saturday was a beautiful cool sunny day – perfect weather for the annual Hatteras Village Christmas Parade! This mile-long traditional parade brings out neighbors, businesses and visitors full of holiday cheer and a real sense of community. 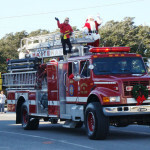 Among the school marching band, the police departments, churches, horse stables and fire engines were the Surf or Sound Realty Elves! Bounding along the parade route next to a Surf or Sound maintenance truck all done up as the “seashells and jingle bells” float – the elves happily greeted parade-goers and handed out candy canes. Afterwards everyone gathered at the community center for hot chocolate and cookies, another Hatteras Holiday tradition. 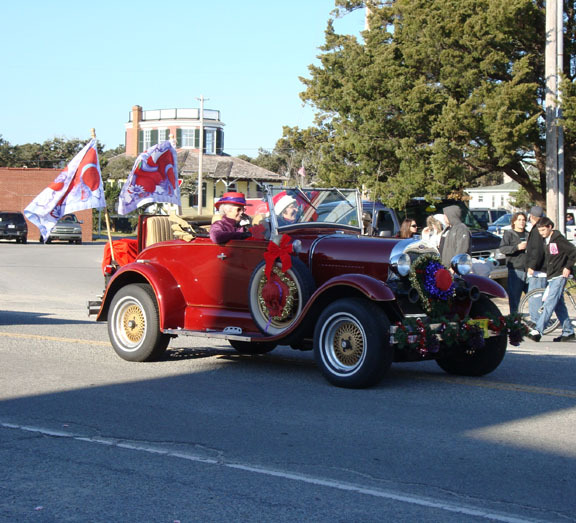 If you are ever in town parade weekend in December – the Christmas Parade is a village event your whole family can enjoy. The holidays are just around the corner, and on Hatteras Island, ’tis the season to celebrate with friends and family with a variety of upcoming community events. If you’re in the Outer Banks area, check out these festive activities that are open to everyone, and get a jump start on generating a little holiday spirit. 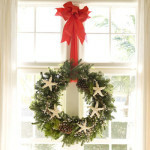 The Rodanthe-Waves-Salvo Civic Association will sponsor a Community Christmas Dinner on Saturday, Dec. 5, at 6 p.m. at the Community Building. Beautifully decorated by volunteers, the Community Building will come alive with singing and a visit from Santa. Turkey and ham are provided by the Community Building board and attendees are asked to bring a side dish or dessert. 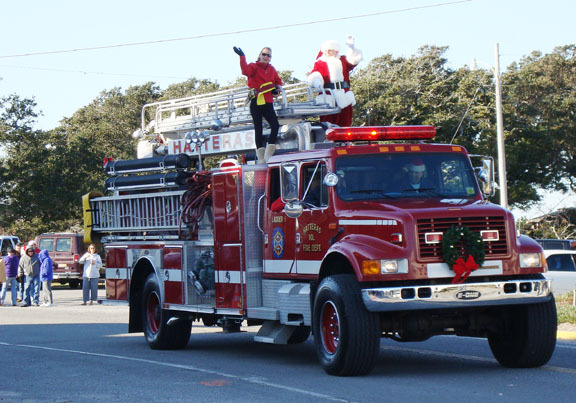 The annual Hatteras Village Christmas Parade and dance will ring in the season on Saturday, Dec. 12, in Hatteras village. This annual event is sponsored by the Hatteras Village Civic Association, and features floats, music, and participants from all along the Outer Banks. Labor Day weekend marks the tentative grand opening of the Outer Banks and Hatteras Island’s first small Independent Movie Theater, adjacent to the Big Wave Dave’s convenience store and Village Grocery in Avon. David Dixon, a local resident, film aficionado, and owner of Big Wave Dave’s, established the theater with a large projection screen and 40 comfy theater seats.